I’ve just finished reading a fascinating book by Allen Gannett: The Creative Curve. The author discusses how important it is to develop the right idea at the right time. Innovative ideas are more well received when they are introduced at the right time. Too soon and they are viewed as being weird. Too late and they are passé. One of his foundational principles is that the intersection of the familiar and the unknown leads to breakout success. He provides extensive scientific support for this theory. 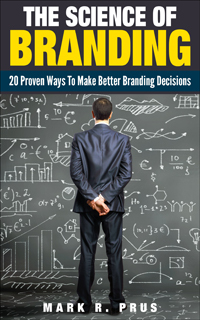 In my book, The Science of Branding, (www.amazon.com/Science-Branding-Proven-Better-Decisions-ebook/dp/B00TBOL6YA) I explain how this principle can lead to better names. There is a lot of scientific backing for using slightly ambiguous names for your company or product. Let’s take a simple example: Intel®. Intel processors can be found globally across all platforms and the Intel name is arguably the best-known trademark in its class. Company history indicates the Intel name was derived from condensing the term “integrated electronics” into one word. Integrated Electronics was the company’s first choice, but the name was already taken, so they settled for Intel. Most importantly, Intel is a shortening of intelligence; or as a real word intel means “information of military or political value.” This familiarity enhanced brand recall and memorability. It also did not hurt that it implied being smart. Using a name that is familiar but different also engages your customer’s brain by creating a “mind puzzle” with your branding. When the name is familiar but different, the customer’s brain will work to find a way to understand the familiarity and will spend time trying to figure out why the name was chosen, which can lead to higher recall of the name later and positive attributions to the product (the science behind this is in my book). If the consumer doesn’t have to work too hard to get the “mind puzzle” they might even have positive emotions about your brand. At the very least, when consumers solve the puzzle, they will then have a sense of accomplishment because they were able to figure it out. Using “familiar but different” names is a strategy that challenges people to think about your product and to have your name on their minds. This can often lead to a stronger response from customers when the connections are made with the name of your company or product. Just don’t make the “mind puzzle” too difficult or you will frustrate your consumers!